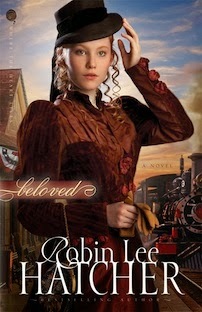 Beloved by Robin Lee Hatcher is part of the Where the Heart Lives series. Hatcher is a veteran writer of many novels and knows her craft well. The novel is a familiar pattern, part of the historical romance genre. Yet, Hatcher has written a book that draws you in. Set in Boise City, Idaho, right at the turn of the 20th century, the male protagonist, Tyson Applegate, is the son of a wealthy owner of several silver mines. He walked out on his wife, Diana, a few months after they were married. Now he has returned, a changed man, who wants to convince Diana that he has changed and wants to love her. When I condense it like that the plot sounds worn-out and perhaps even boring. This is where the skill of the author shows. Hatcher traces the path that Tyson went through to come to a decision to make things right. She writes of God’s redemption – how God can take a hopeless situation and bring healing. Hatcher has seamlessly blended the storyline, showing how Tyson’s rebellion hurt the individual (Diana); but also how his choices created a wider net of hurt that affected several other people. The book is a testament to how God can take an individual who has committed horrendous wrongs and help him to relinquish control and allow God to guide his life. In contrast to the hurt Tyson caused, God changes everything to love, peace and joy. He blesses Tyson and Diana’s home over and over. I do recommend this book. Even thought it is a bit predictable, it is a wonderful story. I received this book from the publisher in exchange for a review. All opinions expressed are my own. Diana is ready to begin a new chapter in her life—until the husband she believed dead reappears at her engagement party. Diana Brennan came west on the orphan train and was given a home with a loving couple who cherished and spoiled her. At 17, she fell hard for Tyson Applegate, the son of a wealthy mine owner. After a whirlwind courtship and marriage, Tyson took off for adventures around the world, including fighting with the Rough Riders in Cuba. Receiving no word from him in years, Diana’s infatuation with her dashing husband died an ugly death, and she is ready to move past the old pain and marry again, just as soon as Tyson is declared legally dead. But when Tyson returns, claiming to be a changed man, he wants to reunite with his wife and run for the senate. While Diana suspects the election is his real reason for wanting her by his side, she agrees to maintain his home and to campaign with him, but when it is over, win or lose, she wants her freedom. He agrees with one condition—she must give him a chance to change her mind about him. Enter today by clicking one of the icons below. But hurry, the giveaway ends on November 15th. Winner will be announced November 16th at Robin's blog. Don't miss a moment of the fun; enter today and be sure to stop by Robin's blog on the 16th to see if you won. (Or, better yet, subscribe to her blog and have the winner announcement delivered to your inbox! )!